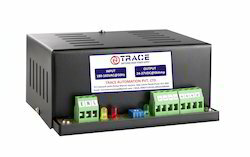 Leading Manufacturer of switch mode power supply 24vdc, cctv battery back up power supply, ac power supply 24vac 3a and cctv power supply 12vdc from Pune. 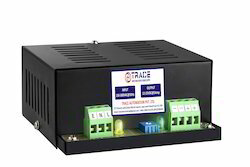 We are the leading organization in the industry to provide our clients the best quality range of Switch Mode Power Supply. The provided power supply unit is precisely manufactured by our adept professionals using the modern technology. Offered power supply unit is available in different technical specifications as per the requirements of our renowned clients. Furthermore, our valuable clients can avail this power supply unit at most affordable price. We offer our prestigious clients the premium quality range of Battery Back Up Power supply. In synchronization with the set industry standards, our provided power supply unit is well manufactured using the latest technology. Owing to its shock resistance and temperature proof features, this power supply unit is widely appreciated by our precious clients. Moreover, to ensure the best quality, the offered power supply unit is stringently tested by our quality controllers on different quality parameters. We offer our prestigious clients the premium quality range of CCTV SMPS Battery Back Up Power supply. In synchronization with the set industry standards, our provided power supply unit is well manufactured using the latest technology. Owing to its shock resistance and temperature proof features, this power supply unit is widely appreciated by our precious clients. Moreover, to ensure the best quality, the offered power supply unit is stringently tested by our quality controllers on different quality parameters. We are the leading organization in the industry to provide our clients the best quality range of CCTV Power Supply. The provided power supply unit is precisely manufactured by our adept professionals using the modern technology. Offered power supply unit is available in different technical specifications as per the requirements of our renowned clients. Furthermore, our valuable clients can avail this power supply unit at most affordable price.